Anyone else having this trouble? Trying to upload images, and they crap out at around 90% complete. Just tried to do 4 at a time, and 3 had to be redone. 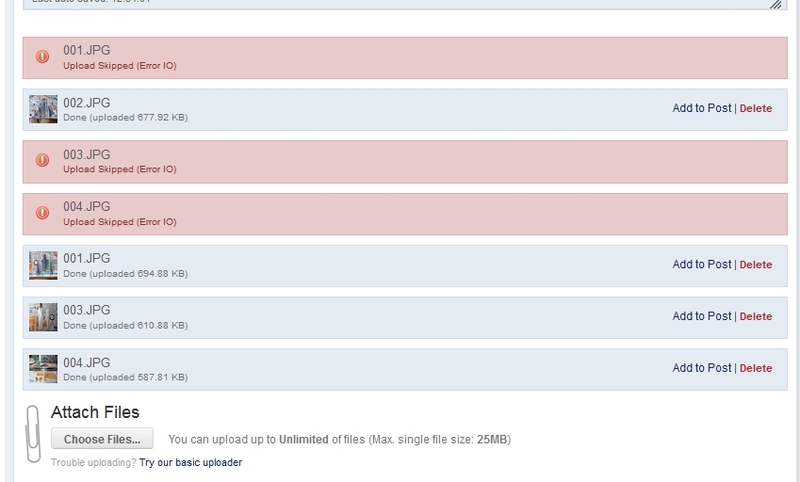 And going to the old style uploader doesn't change, they still error out early. Problem on my end, or the site? Thanks. so to put the Photo's in order. I had to delete & re post . & I jut might have to re-do the file if I could delete the file & re do..